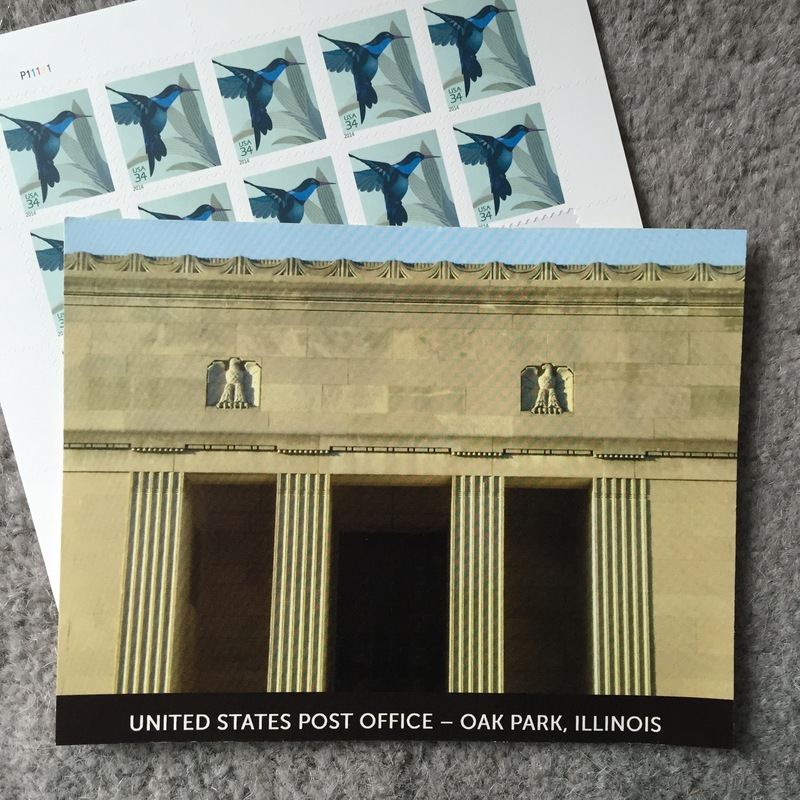 A quick reminder, if you live in the Oak Park, IL area and want to join in on the party for the Oak Park Post Office’s 80th Anniversary, it’s happening tomorrow, Saturday, August 29th, from 10am-2pm. There will be popcorn and giveaways and a tour of the gorgeous building and a special postmark…lots of postal fun. And regular postal business will be happening too, so buy some stamps, mail your packages, snag a passport or a money order. I’m furiously writing a stack of postcards to mail out tomorrow. Write, write, write!